Chancellor Angela Merkel has decided to fire Germany’s domestic intelligence chief as she thinks he has meddled in day-to-day politics by questioning her condemnation of far-right protests, Die Welt reported, pushing her cabinet into another clash over migration toward a showdown, and potentially into yet another government crisis. Hans-Georg Maassen, head of the BfV which runs Germany's domestic intelligence and is the federal agency that tracks and combats "anti-democratic extremists", has come under fire after he cast doubt on the authenticity of video footage showing far-right protesters chasing migrants after the fatal stabbing of a German man, Reuters reported. 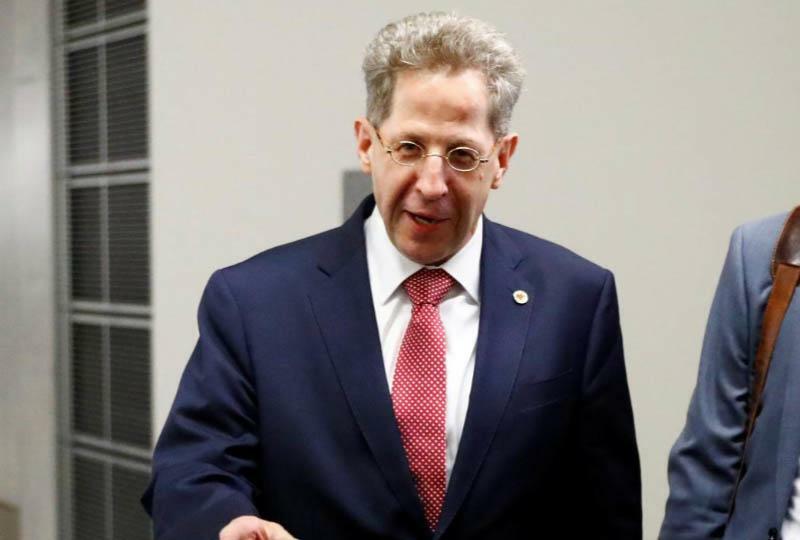 Maassen publicly defied Merkel by suggesting that an August video of far-right unrest in eastern Germany that she described as "hunting" of foreigners might be fake. And while Merkel’s Social Democratic coalition partner quickly pressed her and the interior ministry (which oversees the BfV) to fire Maassen, but Germany's Interior Minister Horst Seehofer, and former Merkel ally, has publicly backed Hans-Georg Maassen. This latest crisis shows how "barely six months into her fourth term, Merkel’s renewed power struggle with Interior Minister Horst Seehofer shows how fallout from the 2015-16 migration crisis is stalking her government and shaping her legacy" according to Bloomberg. Why is this seen as another crisis for Merkel's troubled cabinet? Because if Merkel does pull the trigger and fires Maassen, that would disavow Seehofer, who heads Bavaria’s ruling CSU party and has been the main domestic critic of her decision to keep Germany’s borders open. To be sure, there is already at least one precedent: Merkel stared down Seehofer in a government crisis this summer over turning back asylum seekers at the border, and won even though Seehofer could have held out and collapsed Merkel's cabinet. Meanwhile, CSU leaders are scrambling to restore their populist support and have been sniping at Merkel ahead of a state election on Oct. 14 in Bavaria, where polls suggest the party will decline to a historic low amid surging support for the anti-immigration Alternative for Germany. Such a setback would risk reigniting full-scale conflict in Merkel’s party bloc, which consists of her Christian Democratic Union and the smaller CSU. Asked about the Die Welt report during an official visit to Algeria on Monday, Merkel told reporters she wouldn’t go beyond her comment on Friday "that the clash won’t break up her coalition" although others aren't so sure and while far under the radar, this latest development in Germany may have far broader implications to the fate of Europe. Still, as Bloomberg's Richard Jones notes, Merkel's problems with the CSU are well-known by investors. And while this latest threat is causing some excitement among political commentators, investors have learned over the years not to count Merkel out. "This current episode could very well be the latest evidence of her resilience."